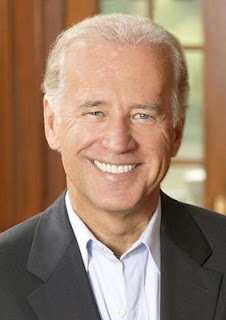 Well, both major party candidates have made their vice presidential choices with Obama choosing Delaware Senator Joe Biden and McCain picking Alaska Governor Sarah Palin. I have to say that both picks surprised me a little bit, but the more you look at each choice, the more you see why each candidate went in the direction they did. 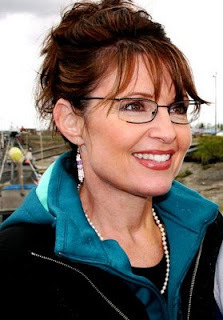 The one important thing that Palin brings, albeit very little, is executive experience. As little as she has as governor (two years), she still has two more years than anyone else in the field as McCain, Obama, and Biden have all been legislators. Being Governor is much closer to being President than being a Senator is since they involve much of the same skills in leadsership. I think the ideal candidate for me would be someone with both legislative and executive experience so they not only have the skills to put together a good cabinet, but also understand the legislative process and what needs to go into it to be successful. Senator Voinovich of Ohio comes to mind as he has had extensive experience in both the executive (Mayor of Cleveland and Governor of Ohio) and legislative (Senator). The important thing to keep in mind, however, is that we're voting for President, not Vice President. True, if the President dies the VP takes over, but when you look at history, that isn't exacly a common occurrance. Democrats keep harping on McCain's age like he could die in office just from natural causes-- he could indeed-- but Obama unfortunately has just as much chance of dying from natural causes or even being assassinated as McCain does. It's the sad truth that I hope never happens, but it is certainly possible. In the end, as someone who is pretty much assured of voting for McCain at this point since I agree with his stances more than Obama's, I'm happy with the choice of Palin as VP. I think she could truly help bring about the real change we need in Washington (responsible spending, accountability). My one concern is the charge against her related to abuse of power. I hope it's not true, but if it is she needs to face the consequences of it. One thing is for sure: whichever tandem wins this election in November WILL make history. Who would've thought that a few months ago? I've also noticed that no matter who McCain or Obama would've chosen, those who are opposed to them would find major faults with their selection. It's just the way we work as humans! And lastly, no, I don't think Obama choosing Clinton would've been an "unstoppable" duo as my experience tells me too many Americans view Obama and Clinton as too far left (I've found most Americans are pretty close to the center politically--moderate-- maybe leaning a little to the right) and Clinton embodies the status quo even more than Biden does, so it would've stood even more in contrast to Obama's message of "change" to have her on the ticket.